He had long thumbnails. And his hands moved quickly. I’ve been thinking of Joe a lot lately as I watch red, yellow, and green thread twist over a fishing rod blank, much like he did (only faster) that first time we met. I didn’t realize it at the time but I would remember everything he taught me. Before leaving the Army, and the Emergency Room where I worked for several years, command thought I could use a “chiller” job before I ended my time in service. For the next nine months, I monitored the cardiac rhythms on a dozen or so patients in a little dark room that overlooked the south shore of Oahu. Every two hours I ran strips, took notes and measurements of all the patients hearts, logging what I found on each strip before taping the strips in a binder. Otherwise, I studied or read. Friends from the ER would stop by anytime they were in the area but on one occasion, Mike, my roommate at the time, came up to ask me about fishing poles. He mentioned before that he wanted to tag along on my weekly fishing outings. I told him I had time the next day so we’d go check out a few different shops. I searched the phone book as soon as he left, finding six different places. We hit up all of them. 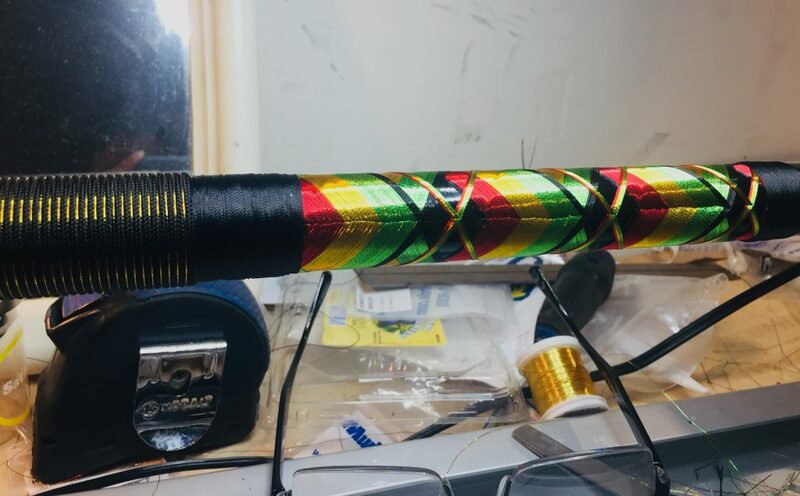 One looked intriguing so I saved that for last: Kimura of Hawaii Custom Rods. 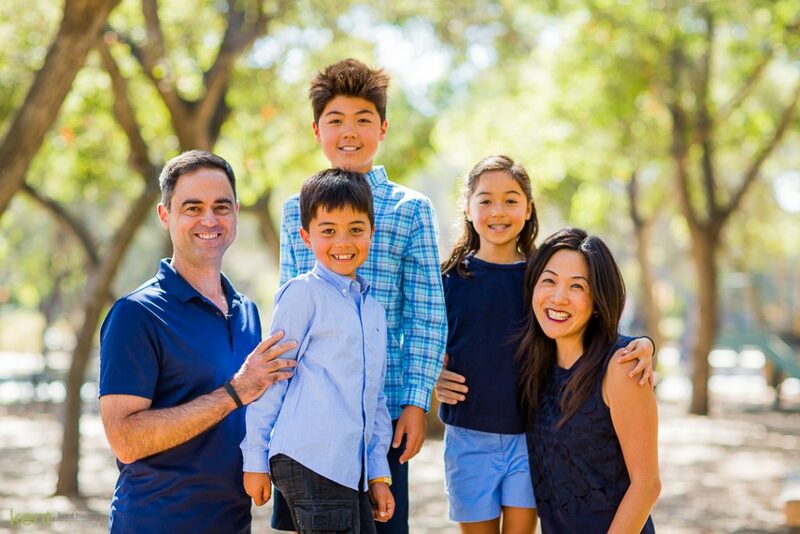 Joe Kimura, owner. 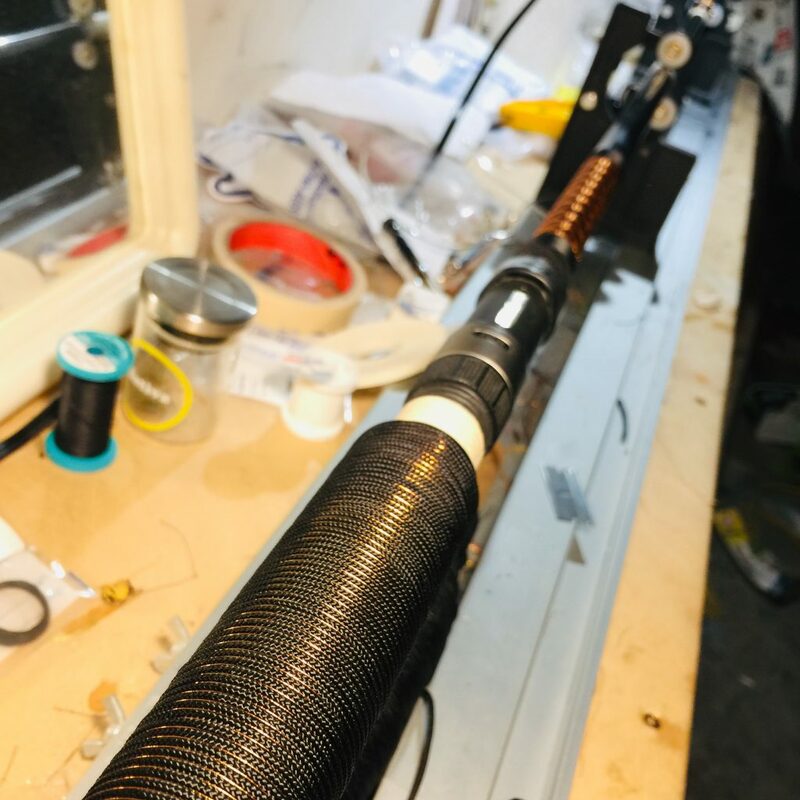 We talked to Joe for a couple of hours while he and Eric wrapped beautiful thread around graphite and fiberglass fishing blanks on machines powered by sewing machine motors and a pedal at their feet. 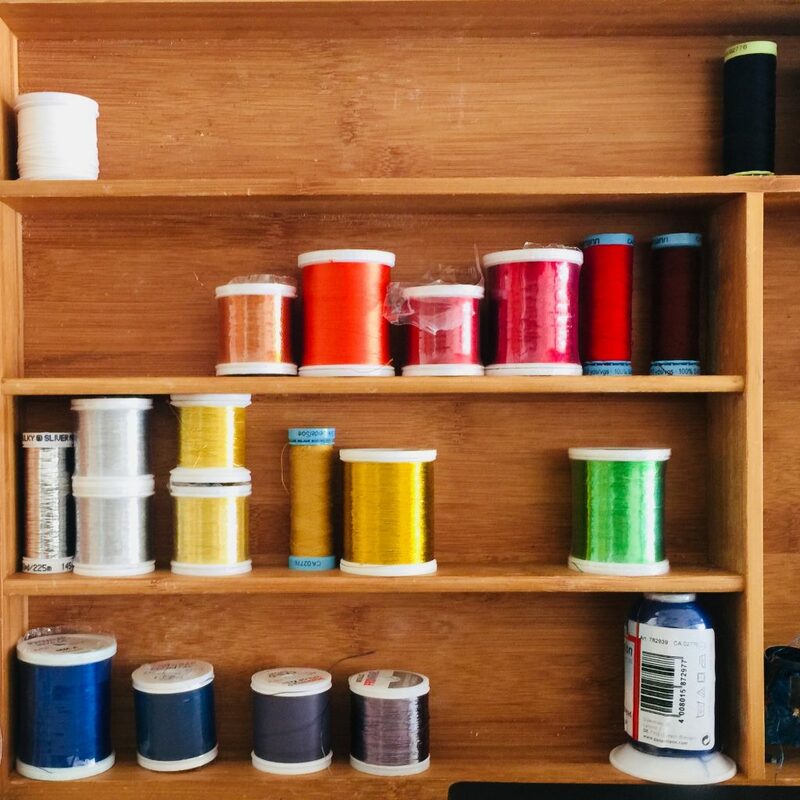 Every now and then, he’d flip the loose end of the spool of thread over the blank, wrap around to anchor, and jam the pedal with his foot. The blank would spin at a high rate while his thumbnail added the right amount of pressure on the thread where it met the surface, leaving a solid color in its wake. We couldn’t stop watching and they couldn’t stop asking about saving lives and Army stuff and how we loved Hawaii. He ultimately asked us if we wanted jobs; he’d teach us everything, he said. We both started the next day. I ended up working there for a couple of years, part-time, after leaving the service when I could fit it in between full-time college and full-time ambulance work. 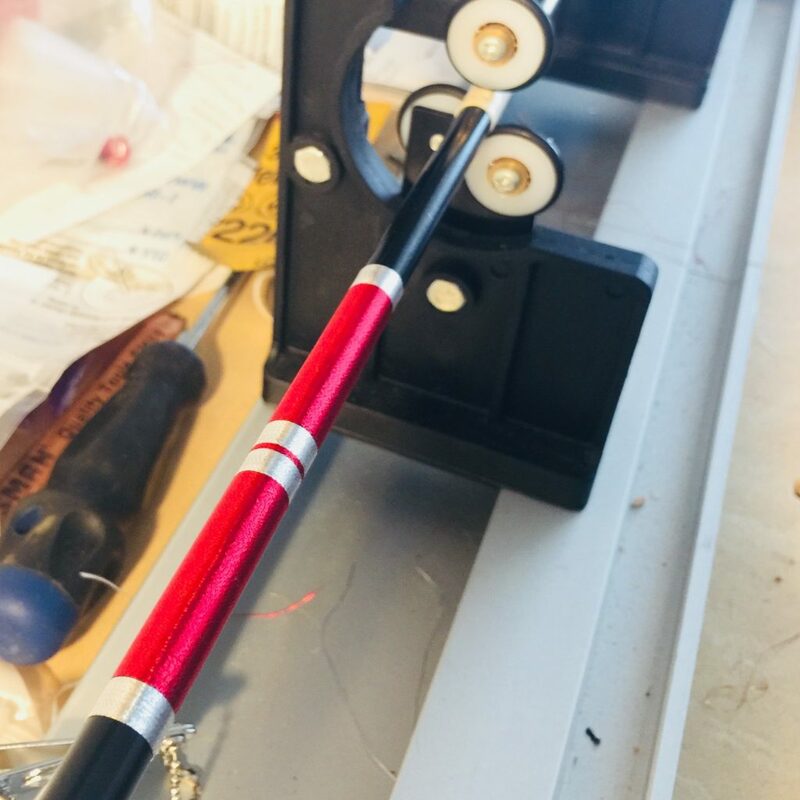 We mostly made surf rods and big game boat roads but I could make any kind of fishing pole from blank to finished pole—which I’m sure I had done a couple of times over—before Joe finally closed shop. 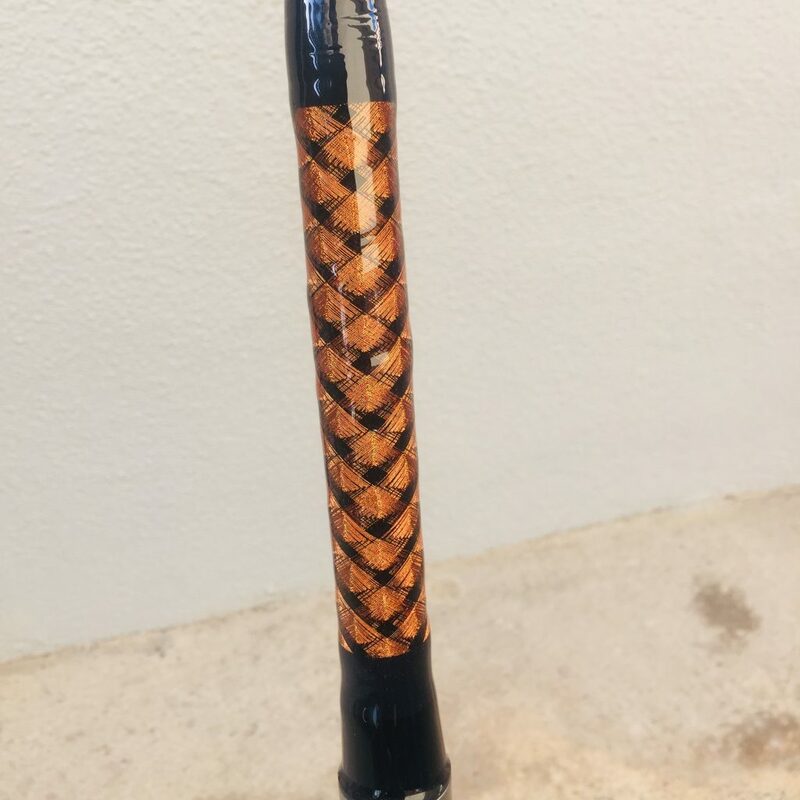 I made one last “whipping” pole for myself a few years before leaving Honolulu. Which brings me back to Kent Hwang Photography. I recently closed all social media: (FB, Twitter, IG, etc.. (I only deactivated IG but I doubt I’ll login, again.) I am STILL a photographer, however. I love photography and capturing art in so many forms and how it makes people feel. I don’t love the popularity contest that all of the social stuff is or has become. And I don’t have a budget to pay for every post I want seen. It feels like a dog chasing its tail. 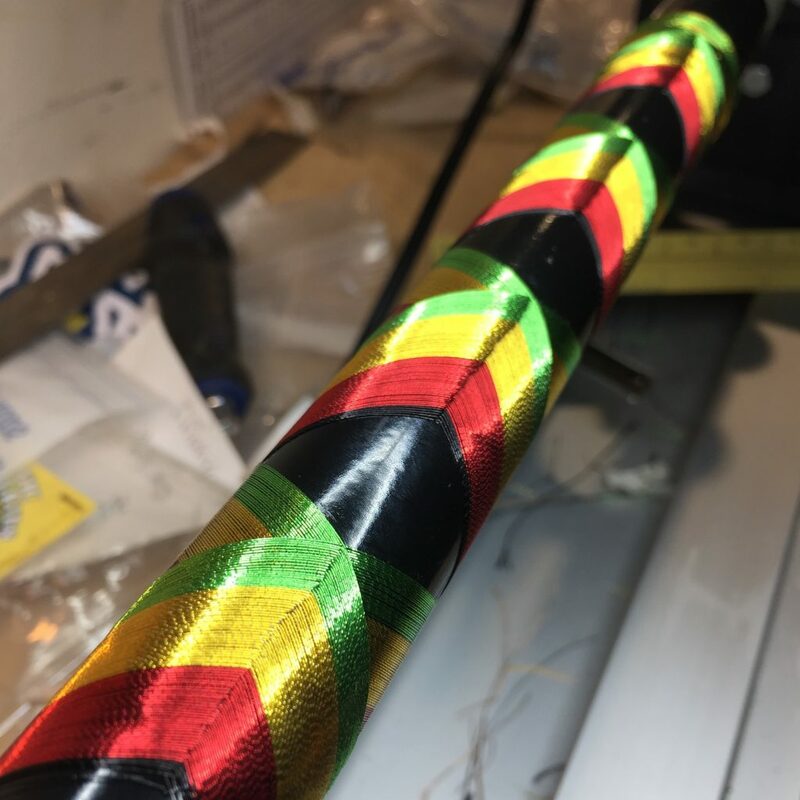 During the downtime, and while Kula was healing from surgery, this past summer, I found myself making beautiful fishing poles out of battered poles that washed up on the beach. I purchased an updated version of the same thing we used back then and just fell right back into it. And it feels like art. It’s not photography but it’s a creative outlet. 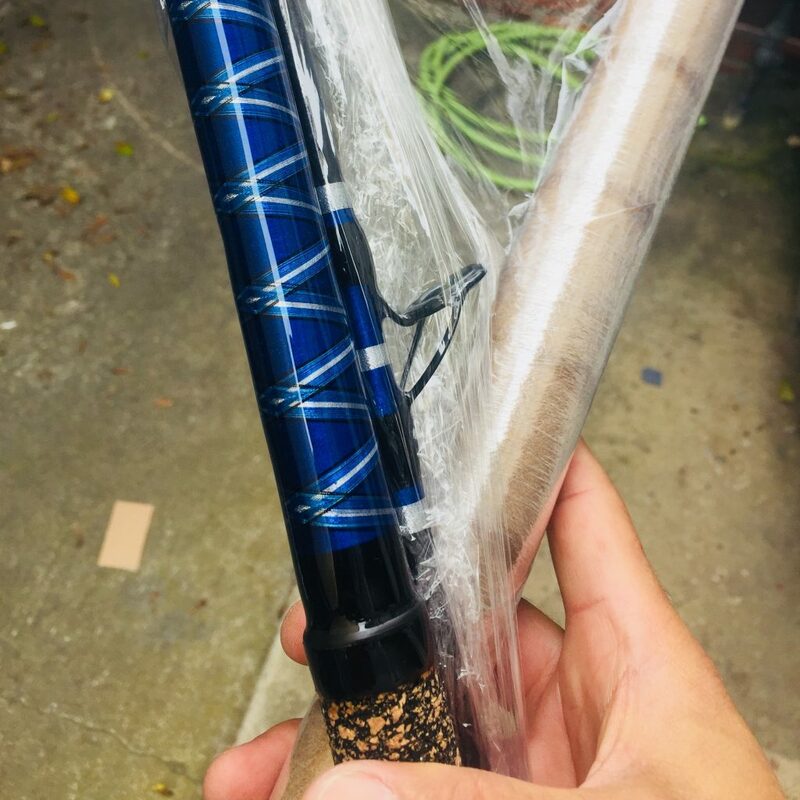 Like my love for yard-work, turning thread into patterns on a fishing pole feels like meditation. Something I think we can all use these days. 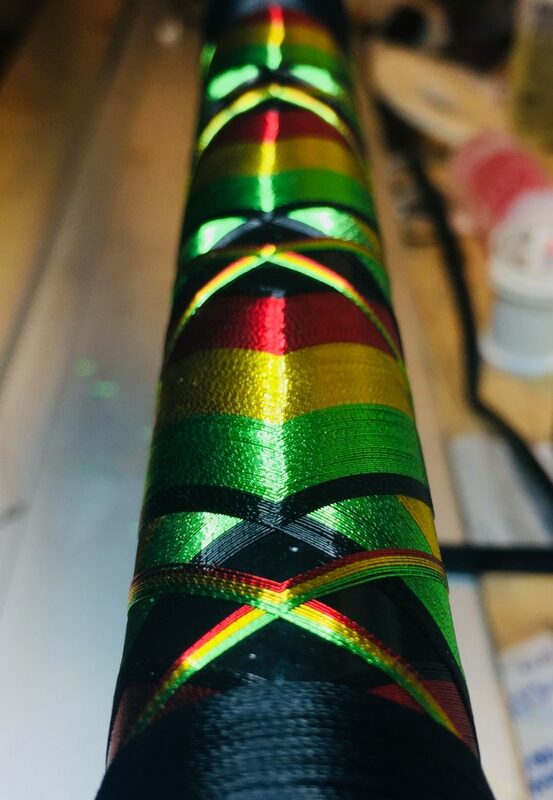 I never touched diamond wraps for Joe so these are relatively new for me. Fish scales. I never touched diamond wraps for Joe so these are relatively new for me. 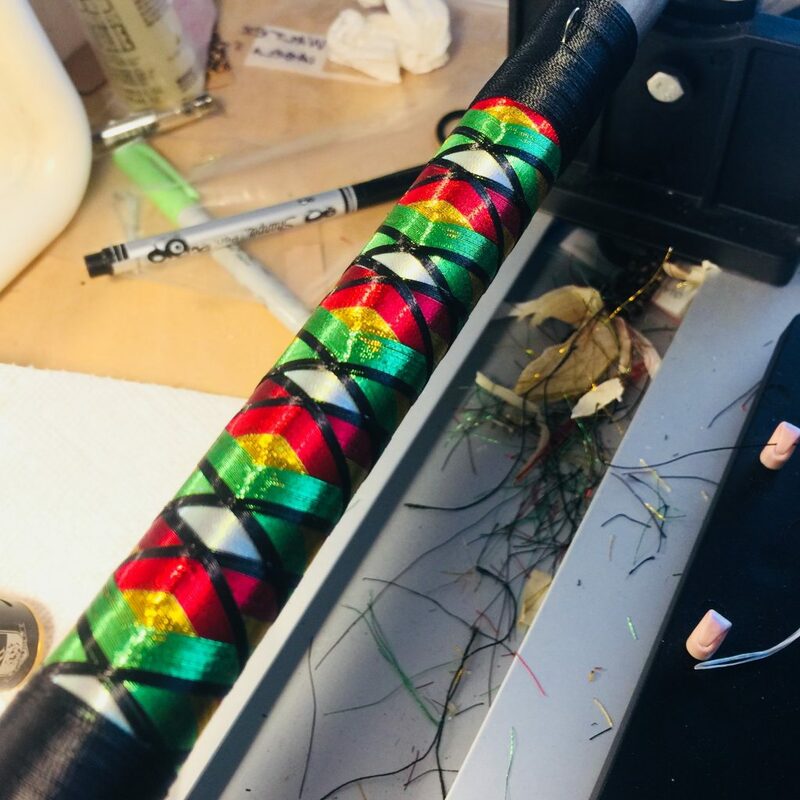 I don’t envision a serious rod-wrapping business but I’m already getting requests from the nearby fishing pier; eight rewraps as of this entry. And there are requests I’ll likely turn down, as crab season approaches, as like photography, I know my worth. I feel at peace when I’m creative so there’s the tradeoff. They’re not great but they’re nicer than what you’d find in a store. So, recent work with an upcoming fitness model made me realize where I was headed some years ago: advertising work and more commercial work in general. And I’m feeling a greater pull towards video work as well after having met new family on a recent return trip to Hong Kong. Light and lighting are never far from my thoughts. Light sets the mood; adds to emotions. I see a lot of bad light that passes for good in photos but this is a topic for another post. Recent work shot with Sabrina (Acupuncturist) in the East Bay. 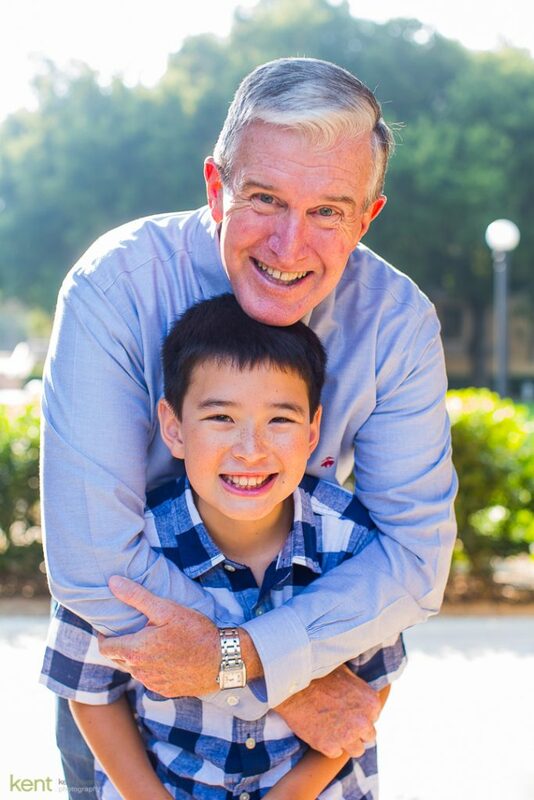 I will always make time for family photos if the calls and emails keep coming as I love that part of what I do. I dislike having long fingernails but it helps with grabbing thread, lifting tape, and applying the right pressure.